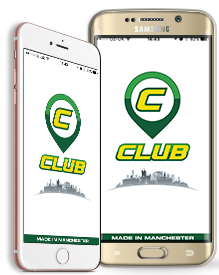 With over 500 uniformed drivers we are one of Manchester’s largest private hire taxi companies. Our depots are located in Wythenshawe, Chorlton, The City Centre, Didsbury, Levenshulme and Stretford. We can get you to your destination quickly and on time for a competitive price. We have the right vehicles to suit any occasion, from executive vehicles for your business meeting, to state of the art minibuses to bring you and your friends back from a night out. We also have a wide range of private hire airport taxis to make your journey to the airport as comfortable and relaxing as possible. All our drivers are polite, on time and professional, making sure your journey with us is the best it can be, so book today with Club Cars. Booking has never been easier, to book today either visit our booking form on the website or download our App, available for both Android and iOS. We look forward to helping you on your journey! Store your favourite pickup locations. 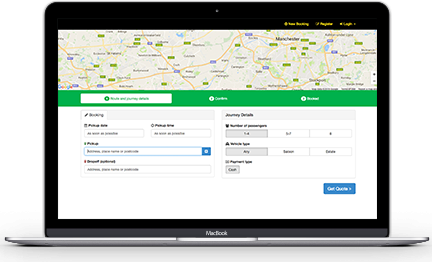 We have over 500 private hire taxis on the roads at any one time. We are Manchester's preferred private hire taxi company. The students of Manchester trust us as their preferred private hire taxi company. You may be entitled to a free ride home. Look here. We offer a trusted and reliable 24/7 Manchester Airport transfer service. With vehicles to suit all shapes and sizes of luggage and people. Need a minibus or small coach to transport a group of you? We have minibusses available around the clock and cater for all groups. Travel in style with our fleet of executive cars and passenger vans for our business focused clients. Chauffeur service as standard. Professional and on time, every time. Make a big entrance everyone will remember on your big day with our luxury, chauffeur driven vehicles. Call 0161 436 4000 or book your journey online.